Want to boost the creativity of your kids? Do you really want to make your kids busy after getting back to school? Do you want a stress-reliever for adults and a fun toy for the kids at the same time? 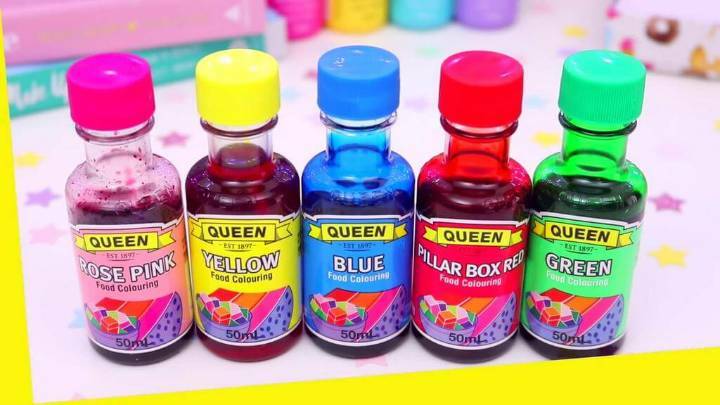 The slime is a best options for all these, it is a great fun making toy for the kids that can be converted to any shape and hence boosts the creativity of your kids! 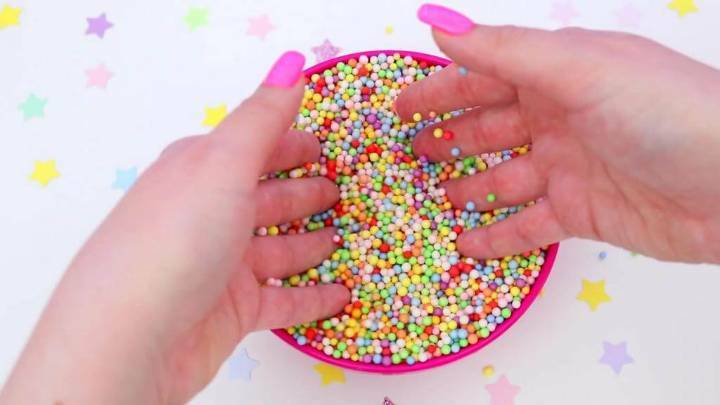 At the same time the sticky and viscous mass between the fingers of adults would keep them busy in a fun way forgetting all of their worries! 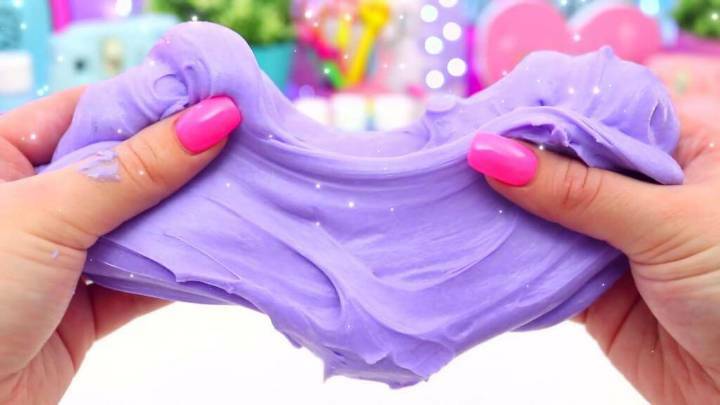 Some glittery and awesome looking slime can keep the kids busy for hours and these gooey masses of sludge are damn easy to make at home! 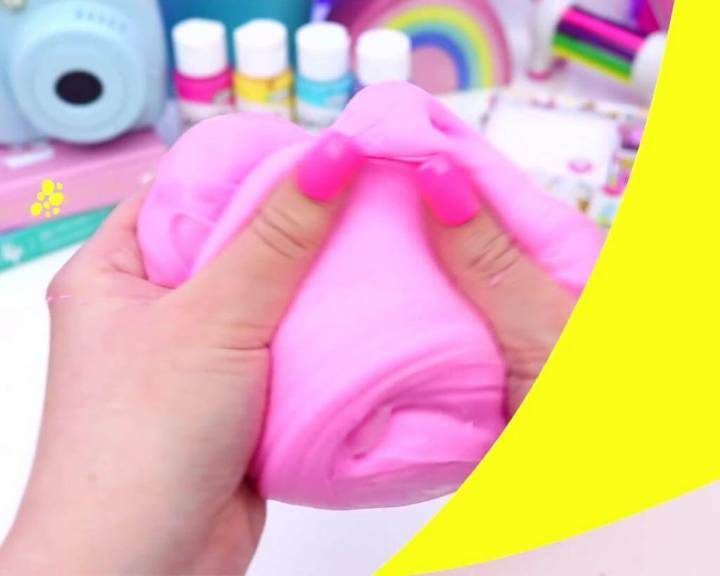 Just as a great inspiration, we have brought here this DIY fluffy slime step by step tutorial or DIY Slime for you that will guide you for the steps and details to make a custom slime with amazing textures! 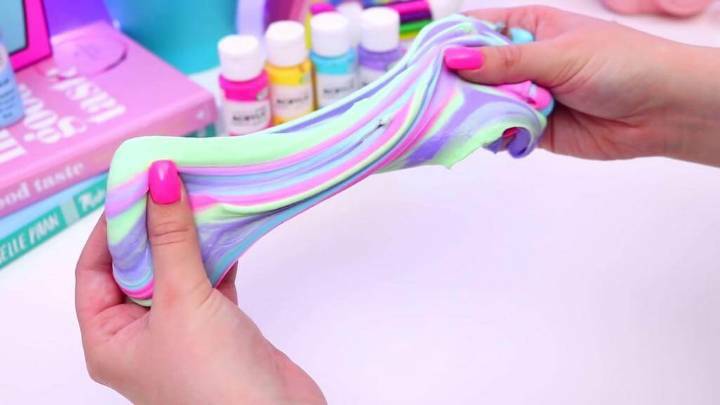 Slime or sticky masses are the one of the best DIY kids and teens craft projects that spark their genius imaginations! 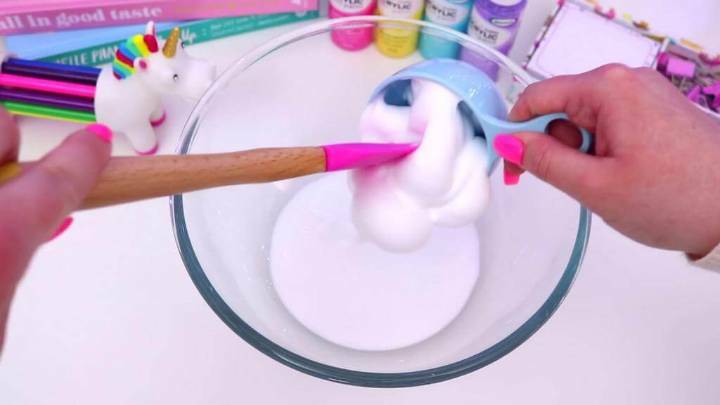 Very basic ingredients to make all of lovely kinds of slime are always glue, borax, shaving cream, body lotion or oils, foaming hand-wash or sop and corn starch! 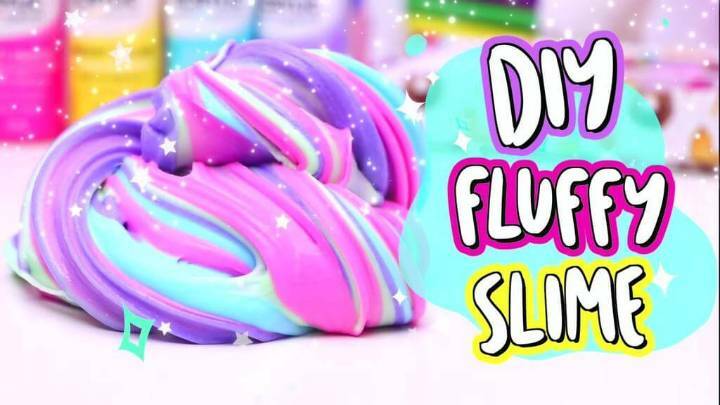 Same ingredients have been used to make this super fluffy and gorgeous looking diy slime! 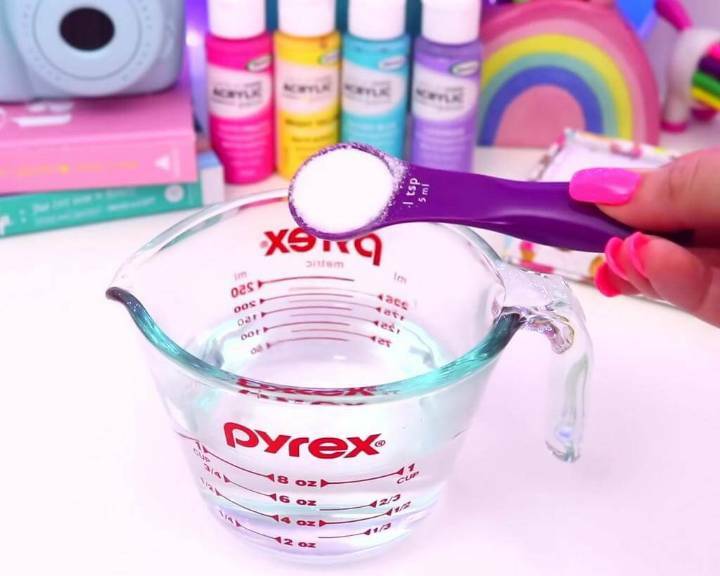 One can adjust the quantities of borax and corn starch and also a little of other ingredients to control the thickness, stickiness, adhesiveness, stretching capability and consistency of the DIY slime! 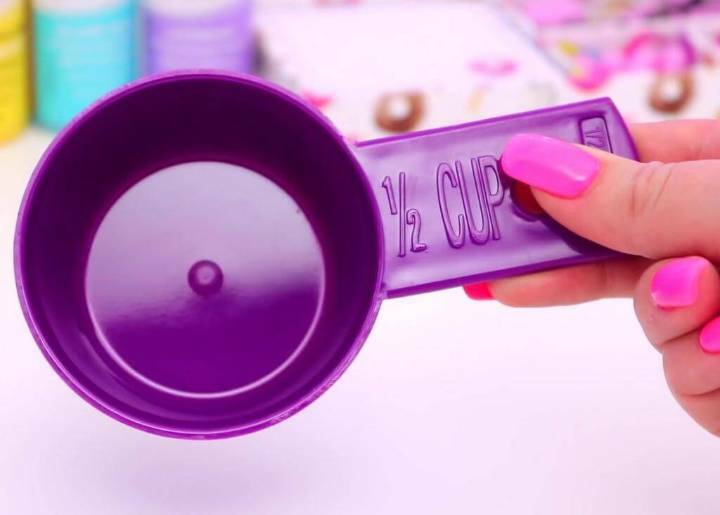 For choosing a nice color of your slime, you can simply prefer the food colors, here a purple violet, turquoise, pink and rainbow slime samples have been showcased to inspire all the kids and teenagers! 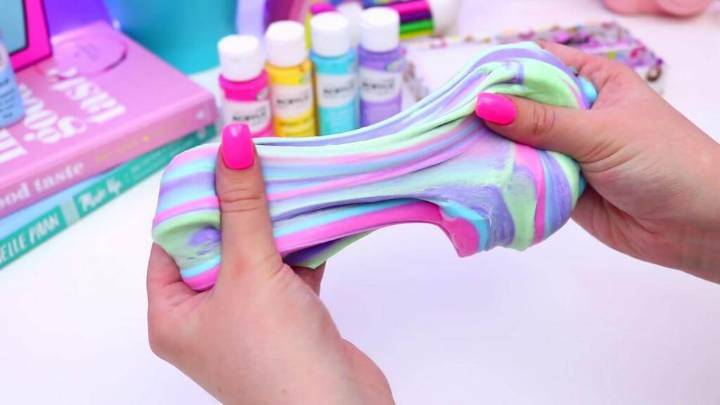 Here you will also learn a little about a creative twist that will makes the slime a bit more fun-making! 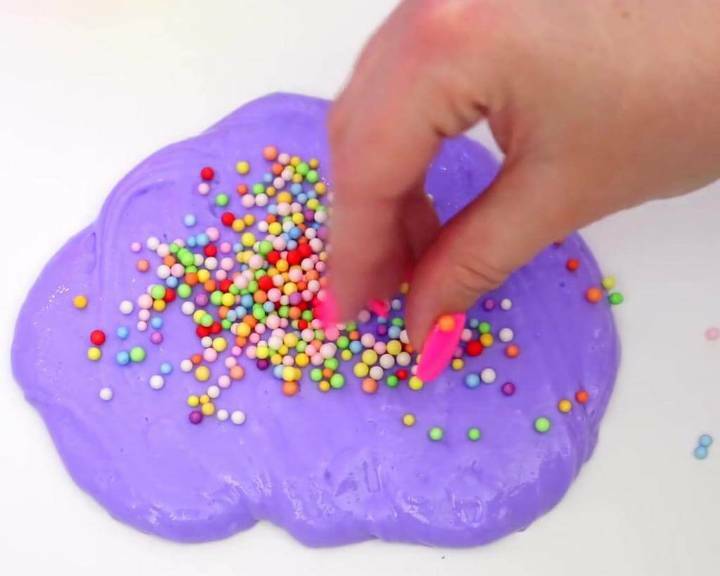 This genius twist is to mix some colorful beads to your finally finished gooey mass for extra brilliant texture and appeal! 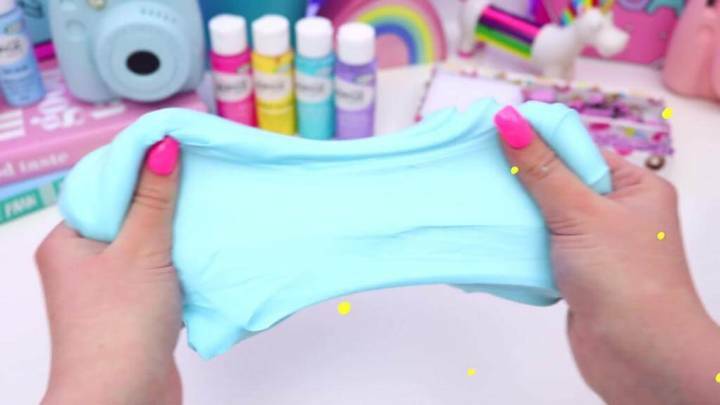 Enjoy making the slime at home!! 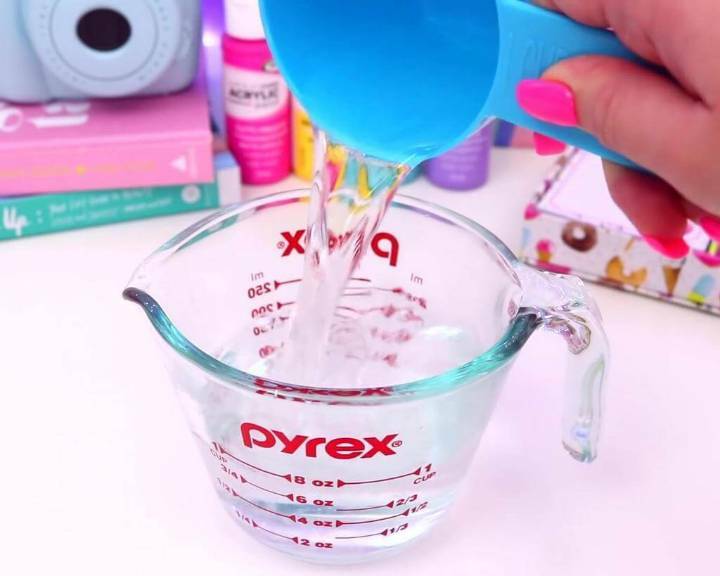 The very thing you need to make the fluffy slime is the borax solution and you can make it in a jug! So Grab A glass jug first! Pour some warm water in the glass jug! Now get your borax add it to warm water already in the jug! Take 1 small Tbs of borax and mix it well in the water! The borax solution is ready, put it aside as you are to use it later!! 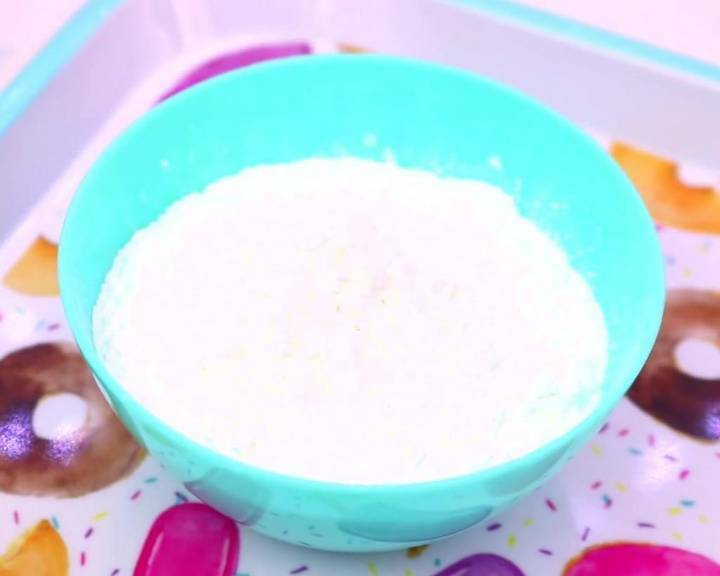 Next you can start making the slime mixture by adding your fluffy slime ingredient in a bowl! So get a neat and clean glass bowl first! 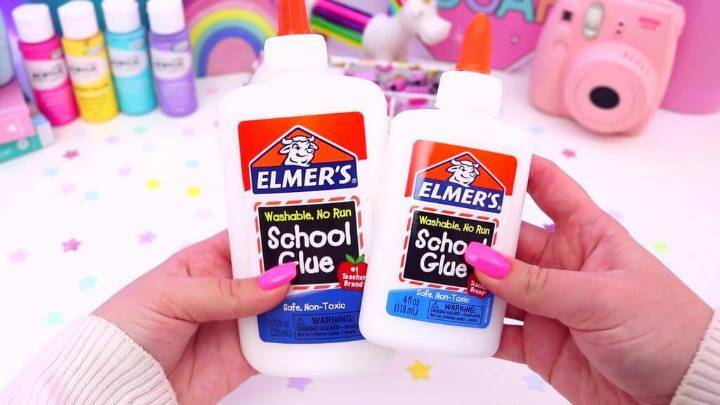 The very first ingredient to add for slime mixture is the glue, use the Elmer’s glue for best results! 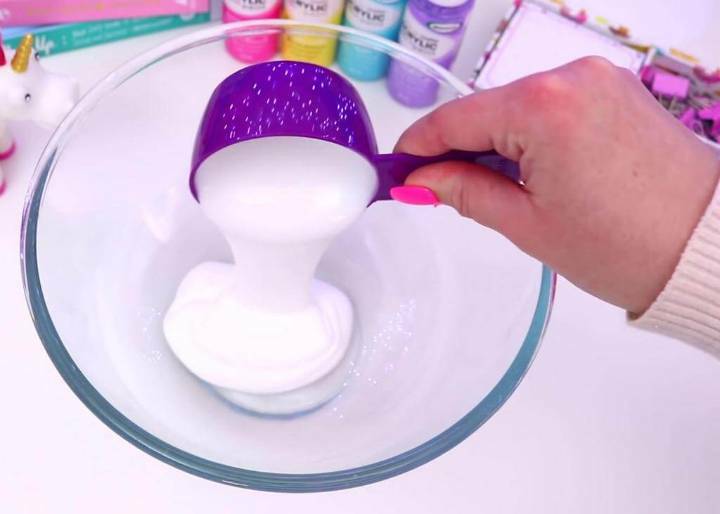 Here you have to use a 1/2 cup of glue for this slime mixture! Now add the glue first in the bowl for slime mixture! 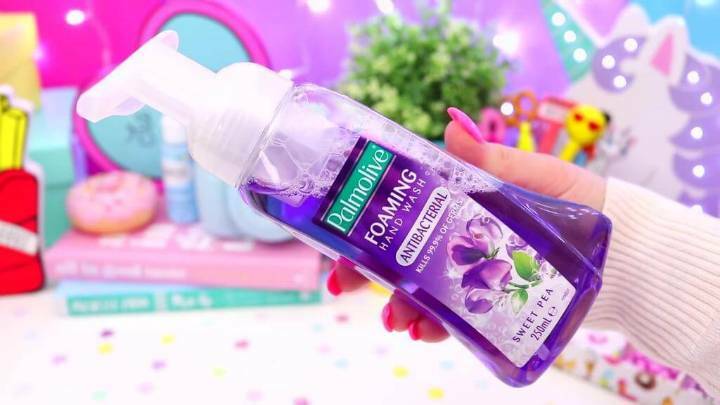 This will make the slime a little bit sticky! Take 1/2 cup of Elmer’s glue and just pour it in the glass bowl!! Next you have to add the shaving cream, next ingredient of slime mixture ! 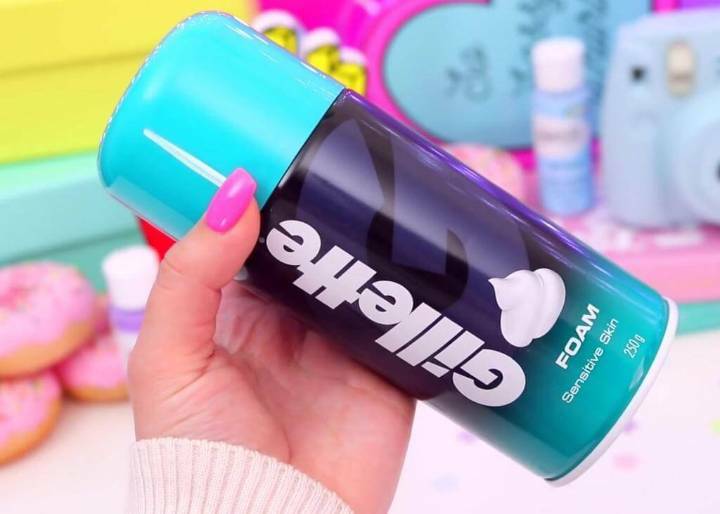 This will make the slime feel light, airy and fluffy! 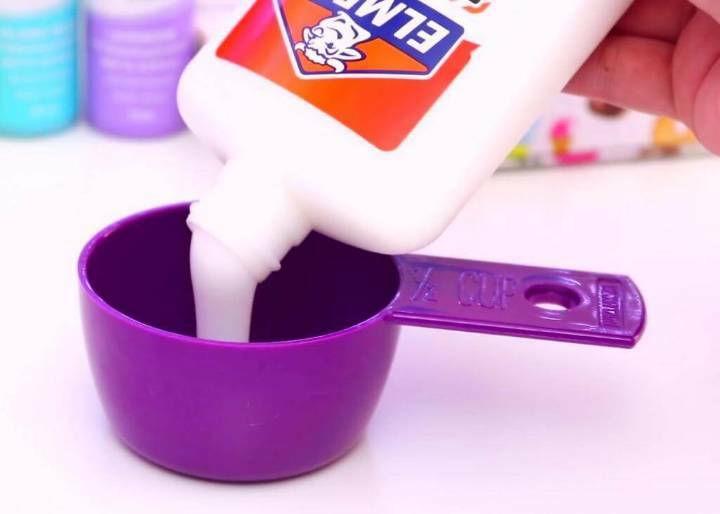 Add a 1/2 cup of shaving cream to glue and mix it well in the glue! 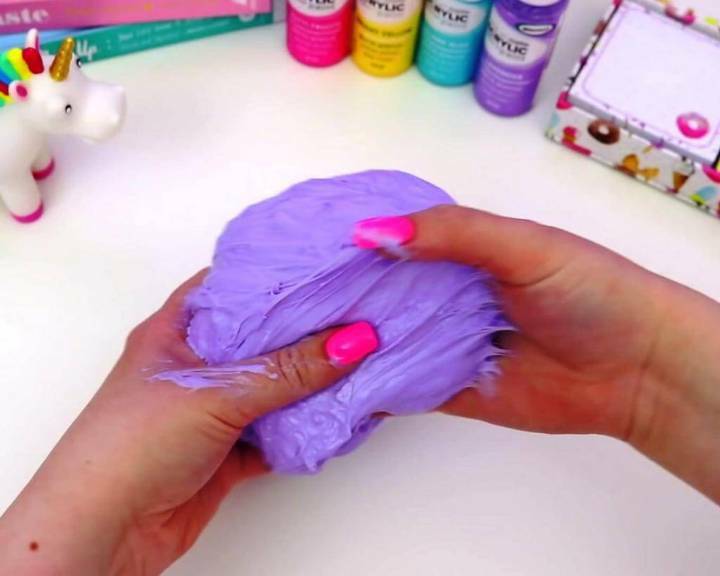 Now you have to add the foaming hand-wash or soap to make the slime fluffier and to make it smell gorgeous! 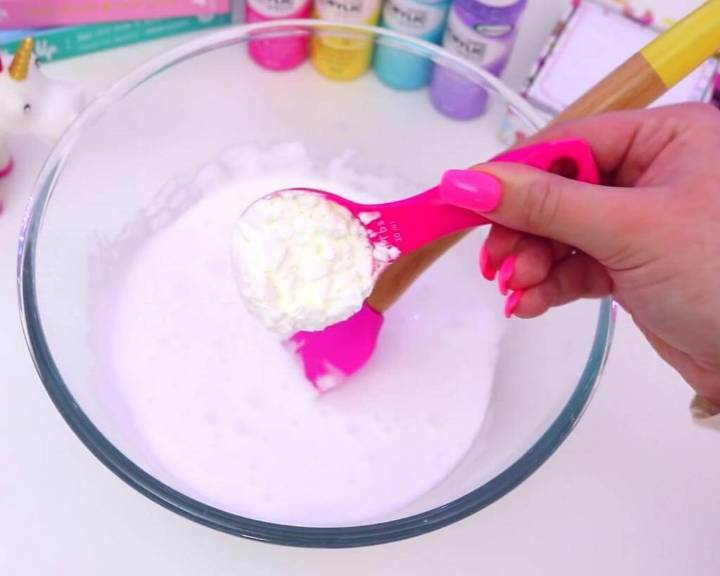 Use a 1/2 cup of foaming hand-wash and add it your slime mixture stirring it well at the same time! 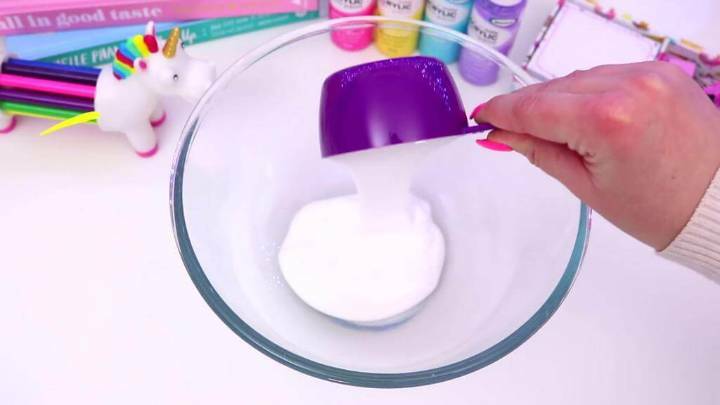 The next ingredient is the corn-starch that would make the slime mixture thicker and capable to hold a shape while we are playing with it! Here is the corn-starch in the turquoise bowl!! So, add 1 Tbs of corn starch in the mixture and mix it well! 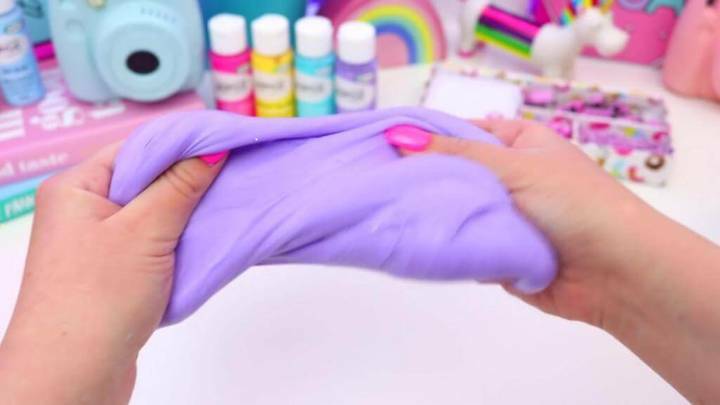 Final ingredient would be the body lotions or oils that would make the slime mixture stretchy and this is all about for having fun with slime! 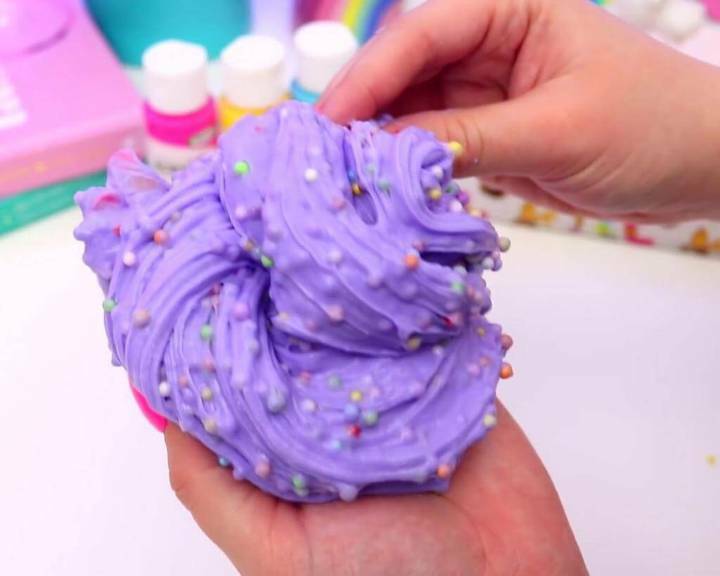 Use the food colors to give your slime a better fun appeal! 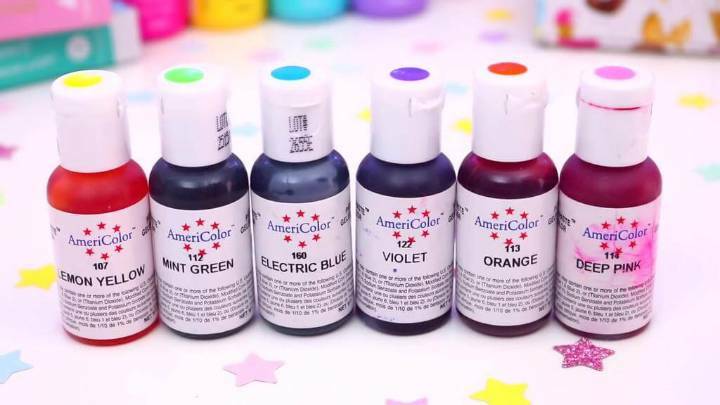 Here is another set of food colors to choose from! 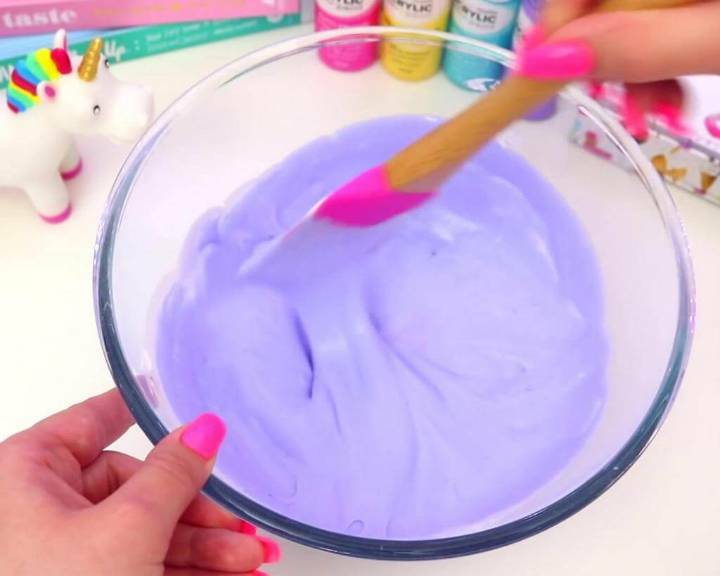 Here first the purple violet food color has been used for a violet appeal of slime! Mix the color and stir the whole mixture well! 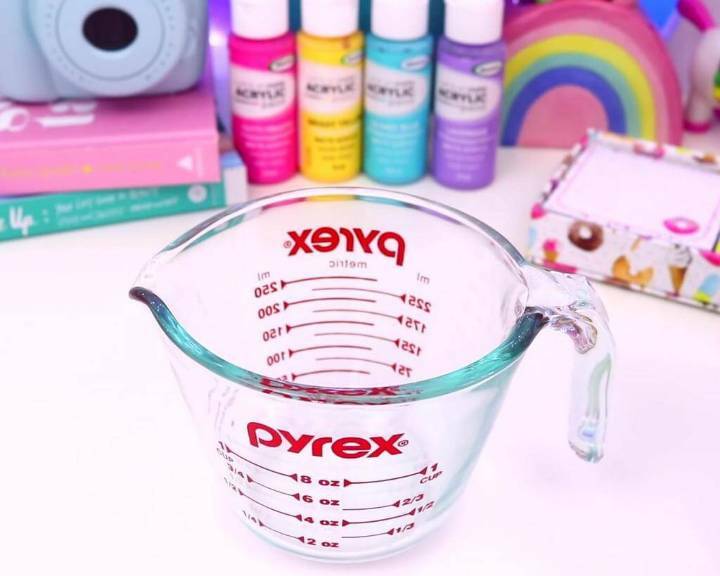 Don’t forget to mix the already made borax solution 1 Tbs for multiple times while stirring the mixture after adding color! 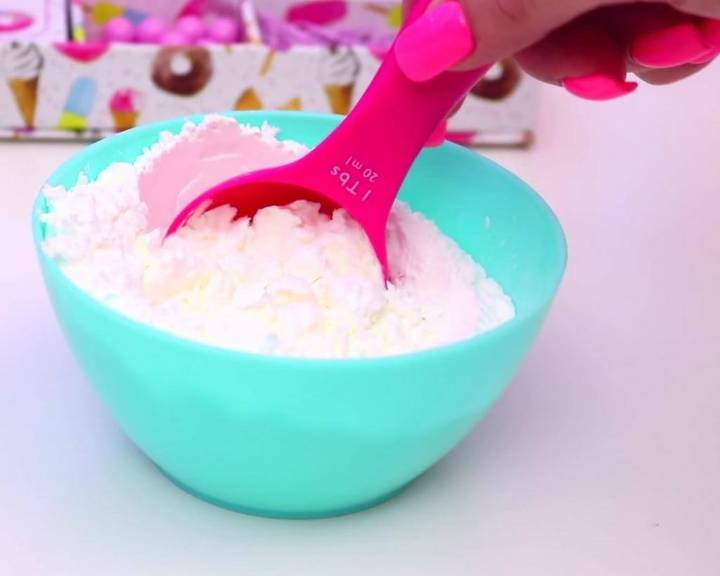 Now take the slime out of the bowl and start work on it using your own beautiful hands! The more you will play with the slime the less sticky it is going to be!! 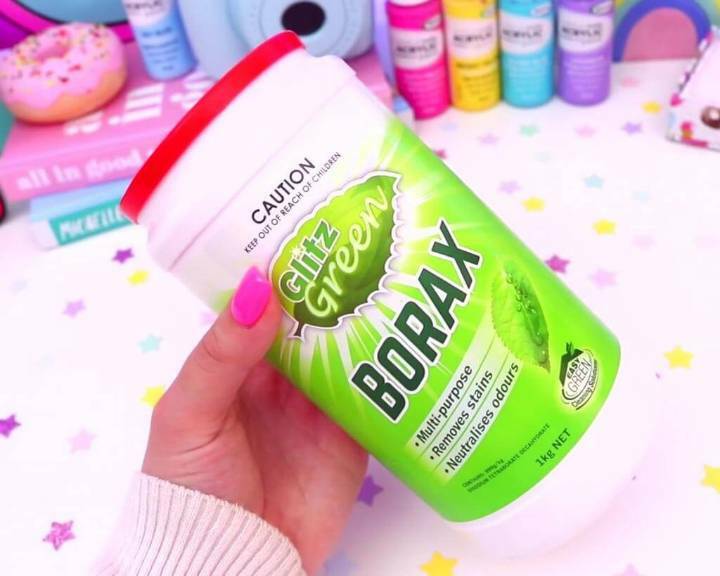 If you still find the borax sticky, then add more borax to it!! Keep on adding borax till you get the desired consistency of the slime! 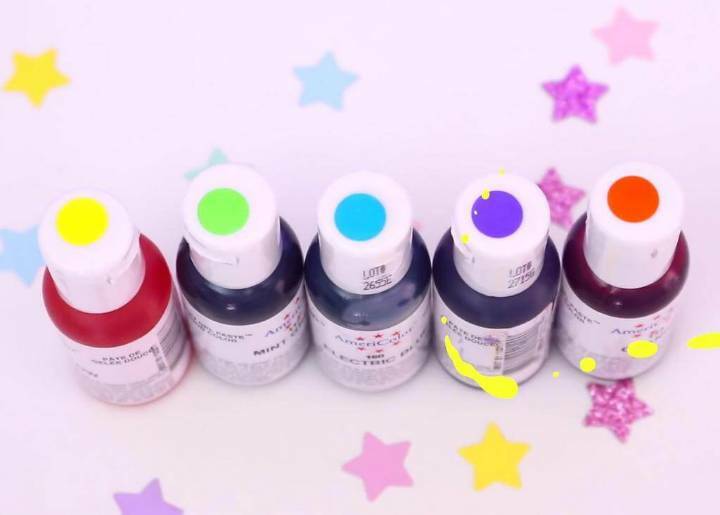 Now you can repeat the slime mixture again to experiment it with different colors! Choose any from the colors that is favorite to you! Here is a turquoise fluffy slime! You will just love the turquoise texture! Here is a girls-friendly pink slime! 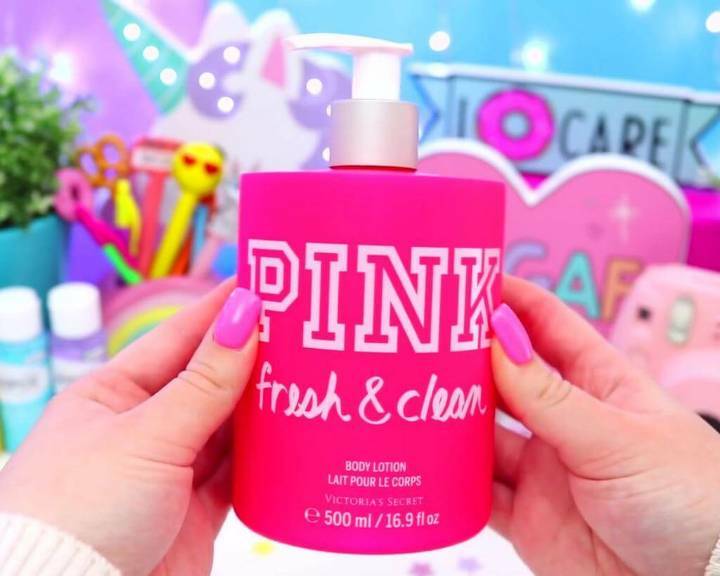 Perfect to gift to a fun-loving girl! 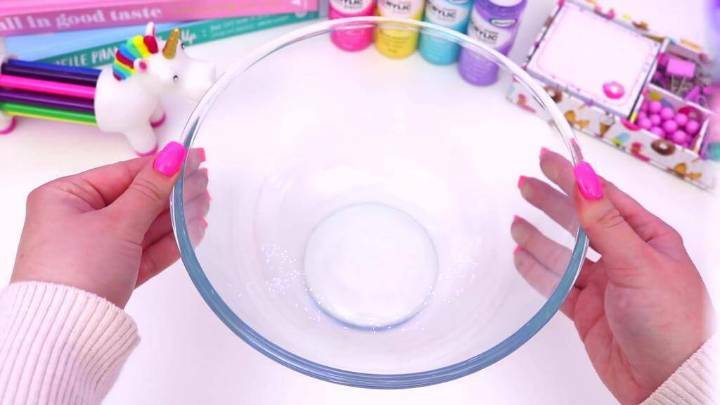 By mixing all the nice colors, you can also make this awesome rainbow slime! Perfect slime ever inspired of a uni-cone! 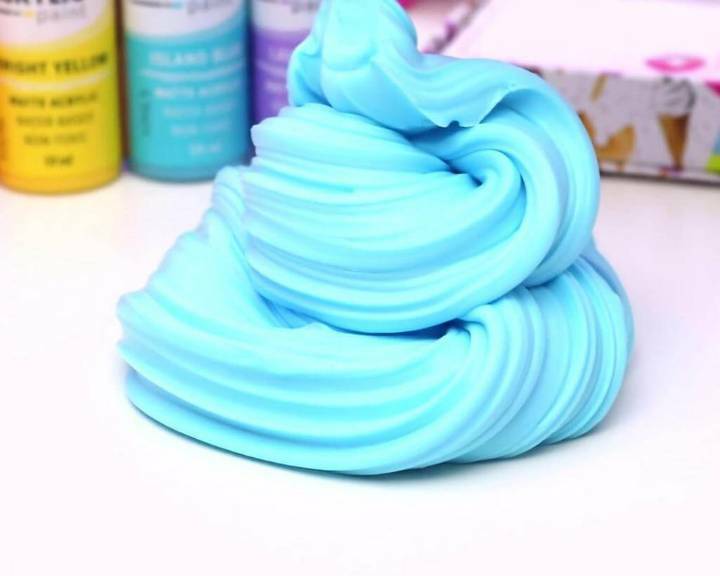 Want to add more fun to your slime with a brilliant texture? 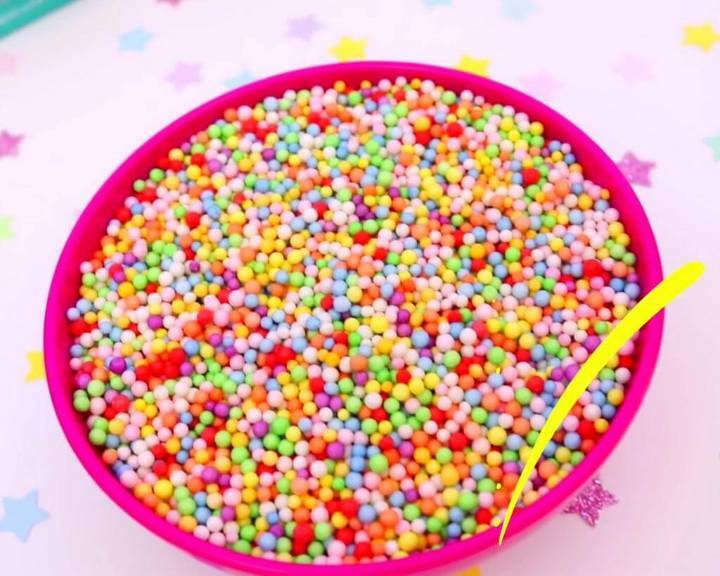 Mix these colorful beads to your slime! 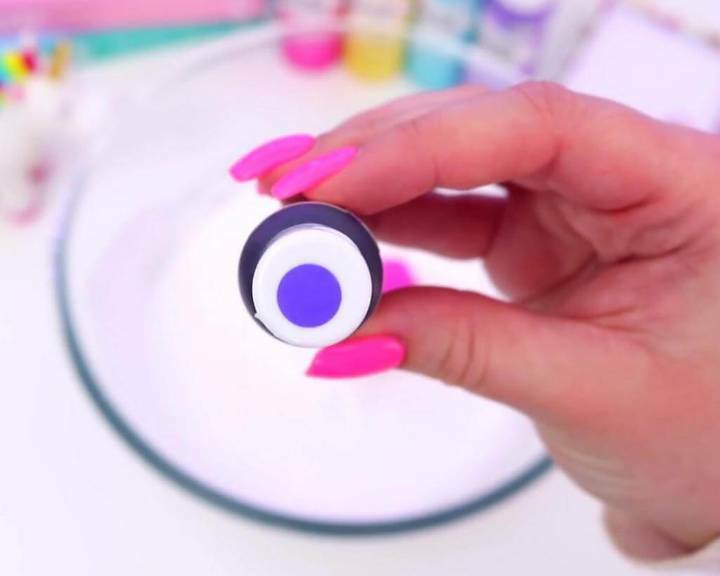 Get some of these colorful beads and put them on the slime! Now mix them well in the slime!! Here is what you will come up with, a beautiful unique textured slime! Still having some confusions or complications? 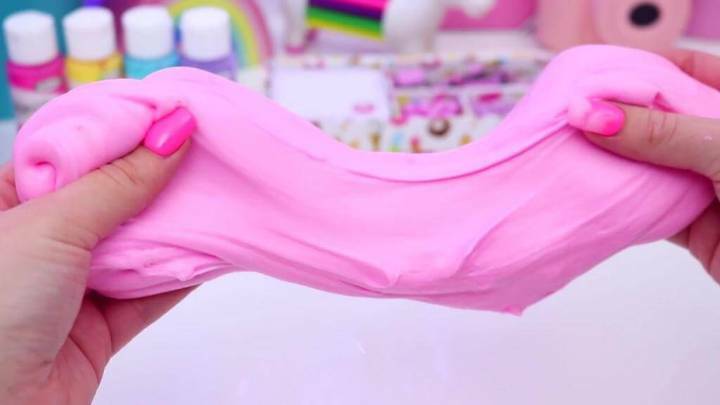 You just no need to worry about as the full video tutorial for this slime is waiting for you here for total guidance.